Do you think world is going to be a better place next year? In the next decade ? Can we end hunger, achieve gender equality, fix climate change, all in the next 15 years? Well, according to the 193 leaders of the world, yes we can. The Global Goals for Sustainable Development are a series of 17 ambitious targets, launched by 193 world leaders at United Nations on 25th September, 2015, to end extreme poverty, fight inequality and injustice and tackle climate change for everyone by 2030. Can this vision for a better world really be achieved, because watch the news everyday and the world seems to be going backwards, not forwards. Daily you come across the negative news around the world which disappoints you and create a belief that it’s impossible to make world a better place. But here’s a point to suspend your disbelief because back then in 2001, the UN agreed another set of goals, the Millennium Development Goals. And the flagship target there was to halve the proportion of people living in poverty by 2015. The target was to take from a baseline of 1990, when 36 percent to the world’s population lived in poverty, to get to 18 percent poverty this year. Did we hit the target? Well, no, we didn’t. We exceeded it. In 2015, global poverty fell to 12 percent. So, at least now we have a ray of hope that we have made it and together we can achieve it again! Humans are the most creative creatures ever. Our heads are full of ideas and we are great at making things too. And with that power we have already changed the world over and over and, solved thousands of problems. So we can do it again! Here’s a plan. We can create change through our skills, talents, influence, and social and financial capital. We can be the change makers of our society. The approach I am suggesting here is Inside Out. We can be the change makers if and only if we become truly passionate towards self development and then the development of the surroundings. 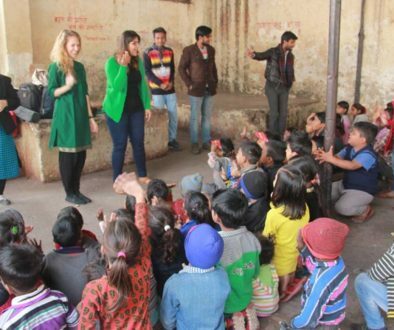 We can use your skills and knowledge to educate the illiterate poor people in your surroundings. We can provide them the basic education which will help them to lead a stable life. We can solve each other’s problems and disputes and can help them to get justice, also it will lead to global peace. We can donate our old clothes and stuffs which can help the poor to simplify his life and get access to the basic needs of life i.e. Roti, Kapda, Makaan. 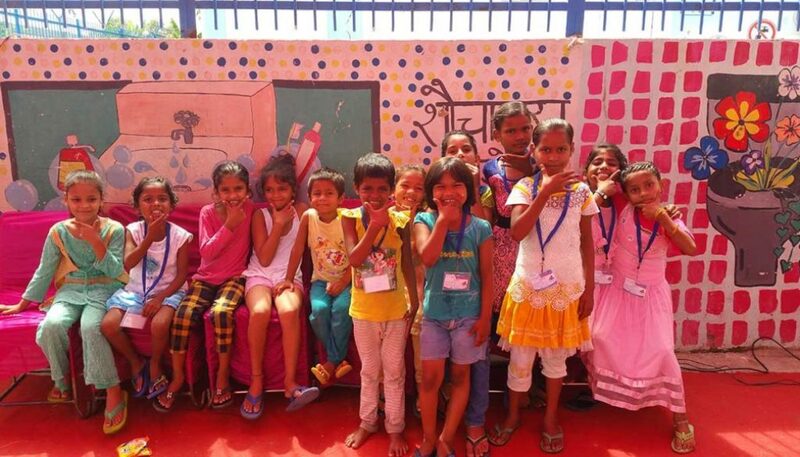 We can educate and aware the people residing in Slum areas about proper sanitation and cleanliness. In total we can utilize all our skills and resources for the development of the underprivileged sections of our society. We are the successful Engineers, Doctors, Scientists, Managers, Lawyers, Entrepreneurs. We can use different ideas to change the world through our own talents. And this will eventually lead to the fulfilment of global goals and convert the world into a better place to live. If you want to go fast, go alone. But if you want to go far, go together! We can achieve all the Global Goals by contributing self towards the goals. But together we can achieve it more fastly and may cross the targets as we did in 2015. There are many non- governmental organisations in the world which are working to ease the fulfilment of the Global Goals for sustainable development. If we want to contribute our skills to achieve a particular goal then we can join these organisations and work in an effective and organisational manner so that together we can make the best out of our skills. Reaching Sky Foundation is one of those organisations whose main aim is to ease the fulfilment of 4th Global Goal i.e. Quality Education. 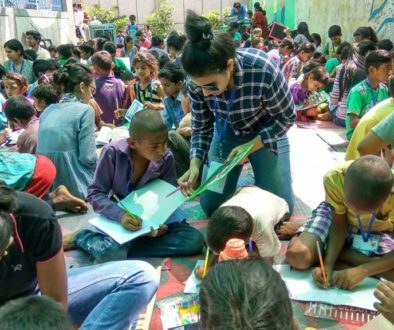 Based in New Delhi, founded in the year 2015, Reaching Sky is a youth orientated non-governmental organisation whose vision is to create a world where people are empowered with social values, quality education and leadership skills. 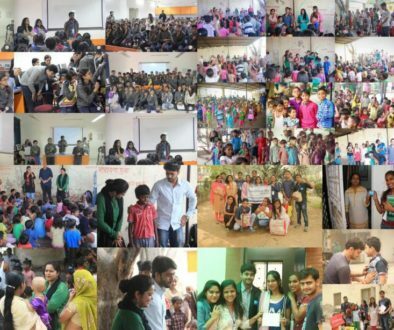 You can join these type of non- profit organisations to contribute to the world. You can feel the joy of giving by contributing to the progress of Sustainable Development Goals. YOU ARE AWESOME, OWN THE TRUTH!